Russia is often accused of fiddling with the news, but this really happened. 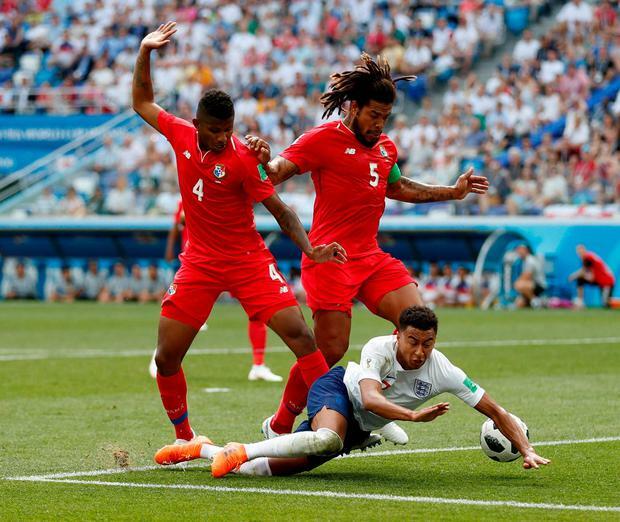 England were 5-0 up at half-time in a World Cup match and were able to withdraw their captain and talisman, who had already reached his hat-trick in a game his team had already won. These facts have been verified. Back home, one imagines, a nation accustomed to World Cup inquests and zero-fun games were supping the Ambrosia of a perfect summer Sunday. Nobody was asking why-oh-why. No one stared at charred barbecue meat morosely. Here in a city where the Soviet Union exiled dissidents, England were escaping a suffocating past. It was only Panama, a team of penalty-box wrestlers who were extraordinarily bad, but still, it was that weird thing called fun. 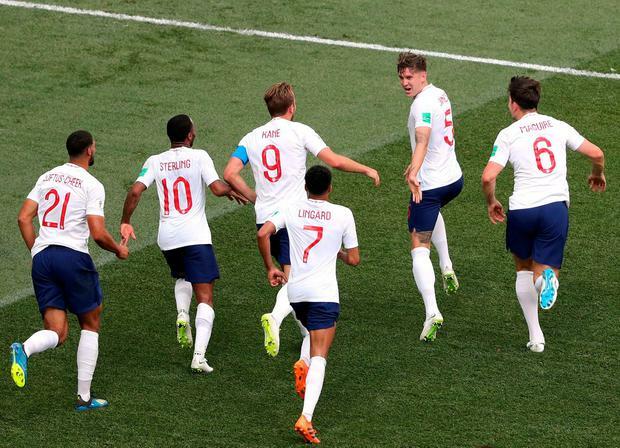 "It's lovely we could give people watching at home goals to celebrate," manager Gareth Southgate said. "I think they can see what we're trying to do, and the way we're trying to play, and enjoying our football. You don't get many opportunities to play like that in a game for England." A win that secured England's qualification for the round of 16 felt like a reward for Southgate's grown-up approach - but mostly his fine coaching. Since taking over, Southgate has moved the side on from a sometimes ponderous passing game to more dynamic play, built around Harry Kane and two thrusting midfielders in the No 8 position. This was England as we rarely see them, the game won in the first half, a place in the second round claimed with a match to spare and a general feeling of abandon that anything could happen. 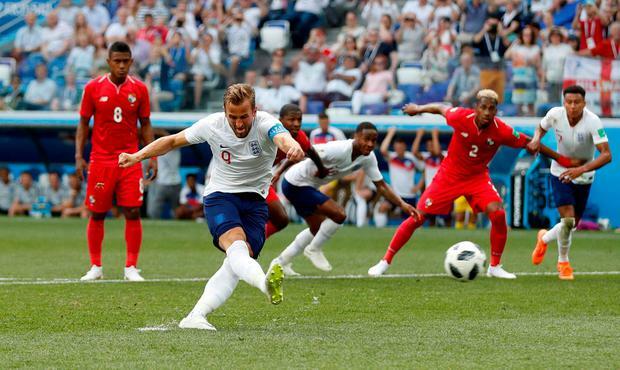 Harry Kane notched only the third World Cup hat-trick in English history, and then there was an unfamiliar competence observed on the basics of the game, especially two set-piece goals created for John Stones that demonstrated actual planning. Watching Kane trot off after 63 minutes was surreal for any English observer. Usually, the England No 9 stays out there, toiling to rescue the team. Kane, on the other hand, had completed his work with a 62-minute Panama hat-trick, and could be rested for the bigger trials ahead. The Spurs striker converted two penalties, in the 22nd and 45th minutes, and then redirected a Ruben Loftus-Cheek shot with his heel, a minute before Jamie Vardy replaced him.